You might have just found out that your credit card number may be compromised. Target reports that up to 40 million customers may have had their names, card numbers, expiration date and security code stolen via hacked credit card checkout scanners. Here's how to find out if you're one of them, and what to do next. In Target's case, anyone who shopped in a brick-and-mortar store in the US between November 27th and December 15th is potentially at risk (the company says Target.com shoppers were not affected). If you set foot in a Target store during that time, check your credit card statements immediately, and call your credit card company for good measure — even if your account hasn't got any weird charges on it, your company may offer to cancel your card and issue a new one just to be safe. If you do find charges you don't recognize, you've got some homework to do to ensure you're not held responsible for the costs. If your statement has fishy transactions, immediately contact your credit card's 24-hour toll-free emergency number printed on the back of your card (keep this number in your phone in case your card itself is stolen). If your card number was stolen, but you still have the card, you won't be held liable for any unauthorized charges. 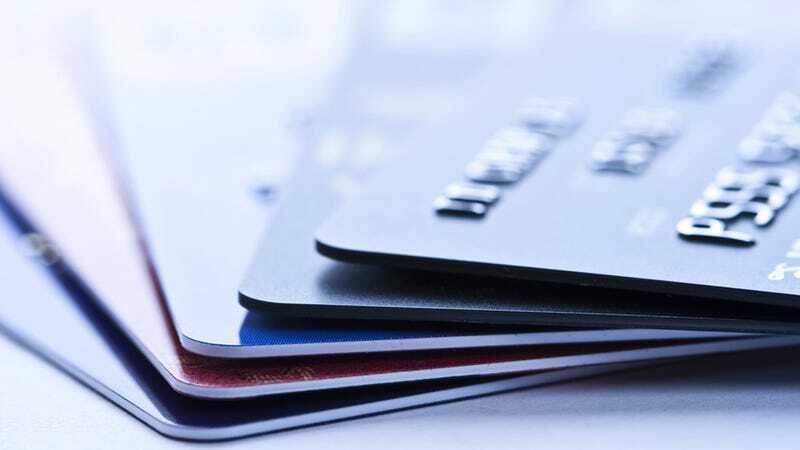 If your actual card was stolen, you may be responsible for up to $50 on a credit card, or much more on a debit or ATM card, based on how long it takes you to report it missing. Federal law says you can't be held responsible for charges made after you report a lost card, so speed is key. Once you've contacted the credit card company, they'll have a bunch of steps for you to complete; these differ from company to company, and you should follow them closely. If you want to be thorough, follow up with a letter or email. Indicate your account number, the date and time you discovered your card was compromised, and when you reported the loss. Keep copies and send the letters by certified mail. You want a hefty paper trail. If your account hasn't been used for bad deeds yet, the previous steps should be enough to keep you safe. But if a scammer has already done some damage, you've got to fight fire with fire. The initial fraud report lasts 90 days, and entitles you to one free credit report from each of the three credit companies. Order your reports, and ask that the company only show the last four digits of your Social Security Number on the reports. Look for accounts in your name that you did not open, or charges for purchases you did not make. If you find either, follow the Federal Trade Commission's guide for repairing your credit after identity theft, and move to Step 5. An Identity Theft Report is your golden document. If a scammer tries to open a new bank account, apply for a credit card, or make fraudulent purchases using your name, the Identity Theft Report helps you prove that it wasn't you. An Identity Theft Report is made of two parts: an Identity Theft Affidavit from the FTC (which you can complete using this link) and a police report. Here's the complete checklist of what you'll need and who you should contact. If you've done all this and you're still dealing with the repercussions of identity theft, you'll need to call in the big guns, including extended fraud alerts and credit freezes on your credit reports. Folks who find themselves in this unfortunate position should follow the FTC's step-by-step guidelines on what to do next. It's no picnic, but it's thorough, and your best defense against the long-term havoc a scammer can wreak on your credit and finances. If you're quick, attentive, and lucky, hopefully you'll catch any fraudulent activity in its earliest stages, and you won't have to go through the long and arduous process of righting a scammer's wrongs. But if you find yourself on the wrong end of a scam, don't waste your time: head straight to the Federal Trade Commission's website and start clearing your name.